IDOC Select Member, Dr. Eva Lamendola is trending towards a 40% revenue increase for 2017. Sorry we encountered an error. Please try again. You will receive an email shortly containing the Success Story. 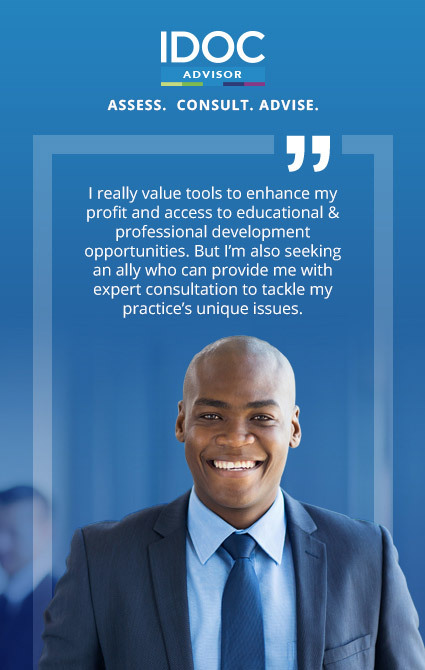 With industry leading vendor savings, experienced industry professionals, revolutionary tools and resources, and a vast professional network, we help you navigate everything that comes with owning a practice. 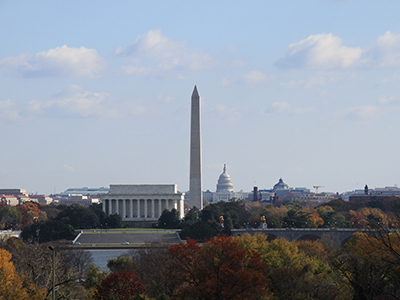 We are excited to present three membership plans now available through IDOC. 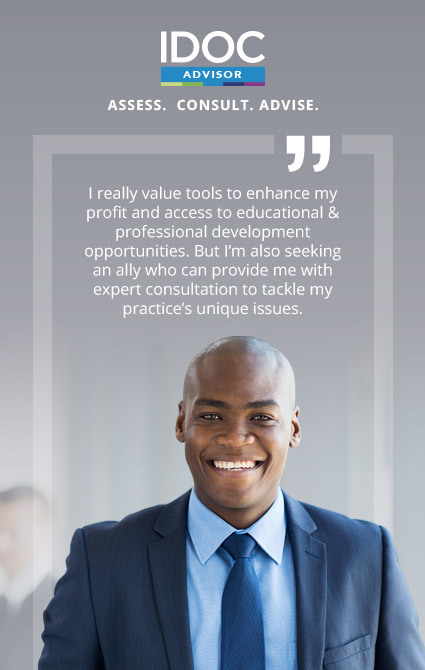 Take your optometric practice to the next level with access to expert consulting that can help you navigate the management challenges you face. $395/mo. 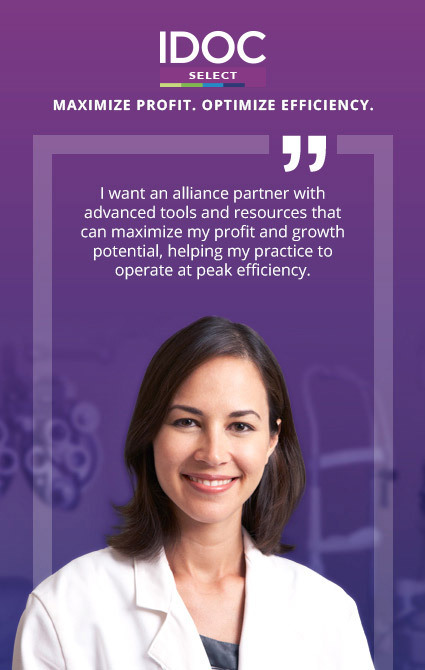 Access the deepest savings and discounts we offer, driving profitability and helping you achieve peak efficiency. $199/mo. 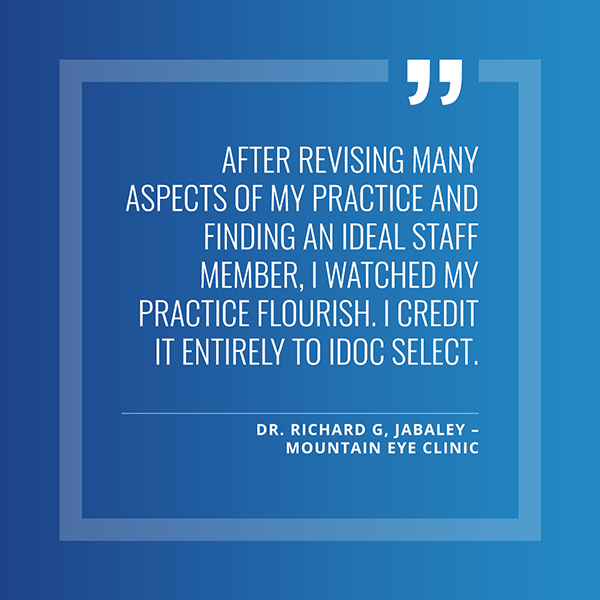 Visit our blog and follow us for IDOC news, events, and optometry practice management guidance. We do more than support independent optometrists. We help their practices thrive. 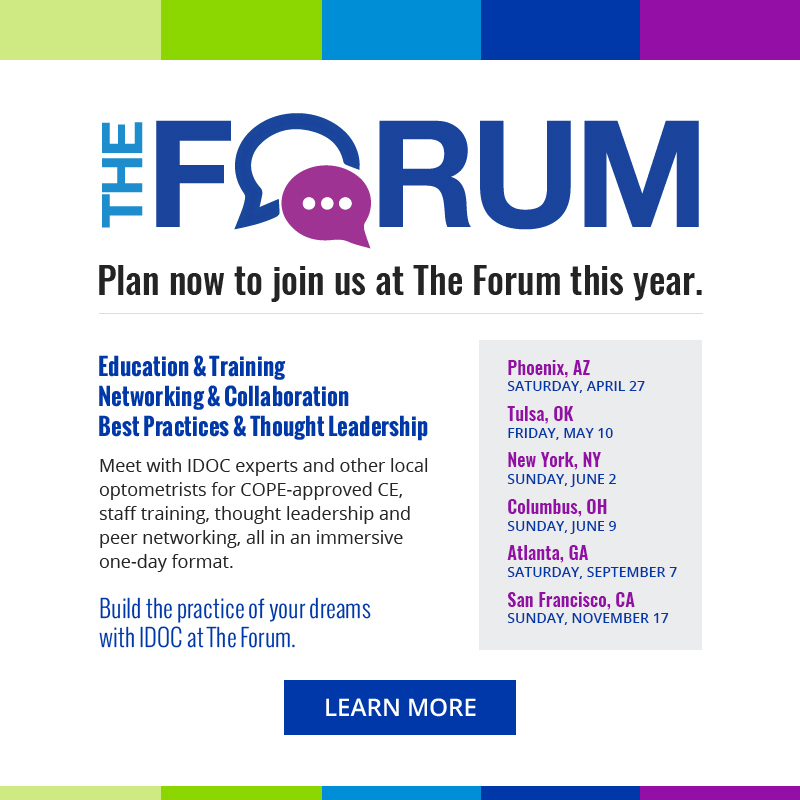 Put our vendor savings, education, networking and consulting opportunities to work for you. 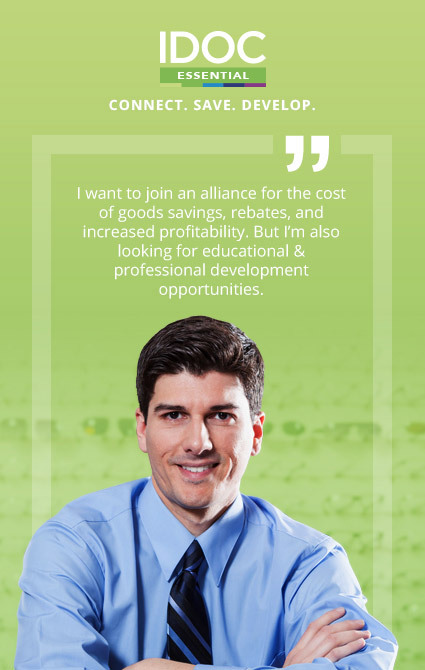 As with all IDOC plans, both plans also include vendor savings and rebates, education and networking opportunities, and a dedicated Account Manager. There are no upcoming meetings in CA at this time. IDOC hosted 300 networking events in 2016 alone. Find an event near you. Discounts and rebates are just the start. But a great start. When it comes to vendor savings, we deliver. Our alliance members enjoy some of the deepest vendor discounts and rebates in the industry. Each quarter, you earn savings that will make a real difference to your cash flow. In fact, the average IDOC member* earns nearly a 2:1 return through our unique vendor rebates offering alone. Our partners include over 60 industry-leading vendors offering cost of goods savings and rebates on the products you use every day. *Amongst rebates issued to IDOC members who earned a rebate in 2016. 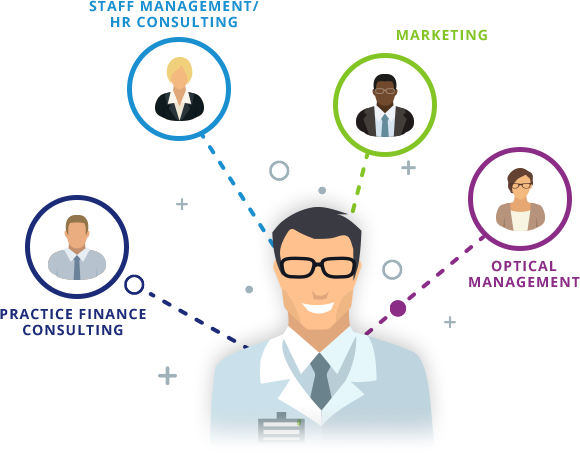 EDGEPro helps you identify not only what is happening in your practice but more importantly why it is happening. You can use EDGEPro to get big picture information, or drill down into singular variables that drive your net profit. 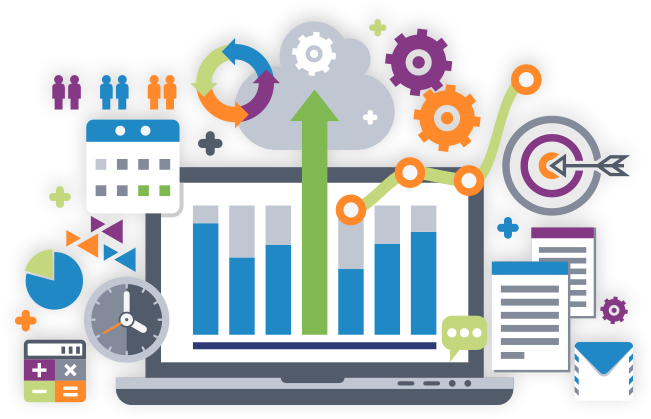 Having this critical information at your fingertips allows you to make proactive and smart decisions for your optometry business. 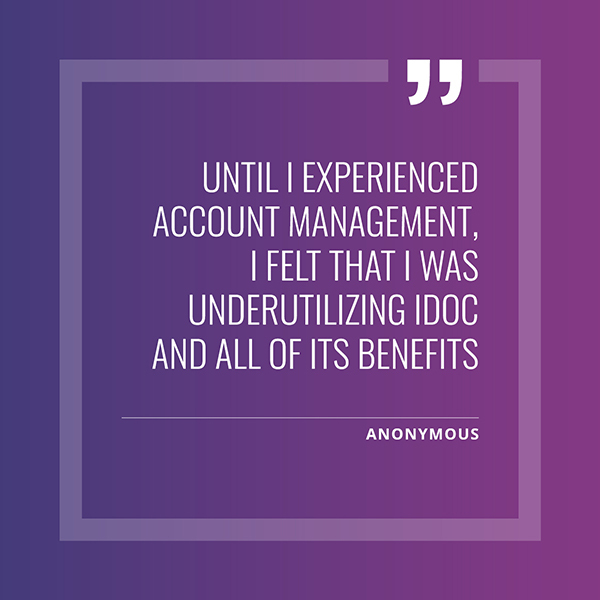 Every IDOC membership plan provides industry-leading vendor savings, extensive professional networking and education opportunities, and a dedicated Account Manager. 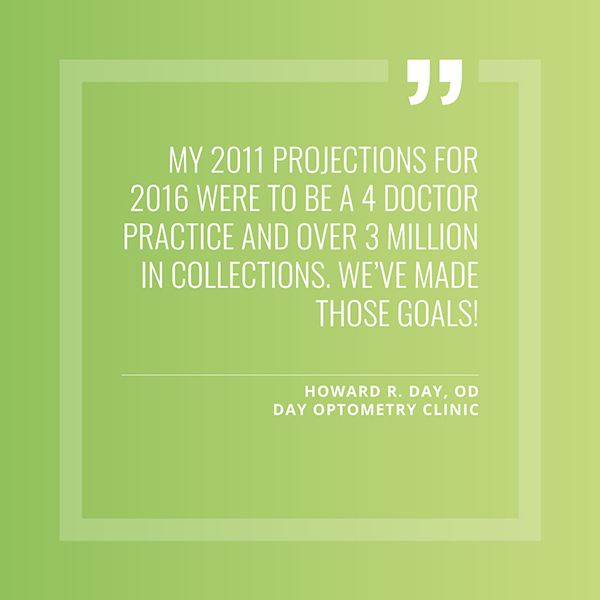 Plus, we offer highly regarded consulting services and practice management technology to help you navigate the challenges that come with owning your optometry practice. Why? 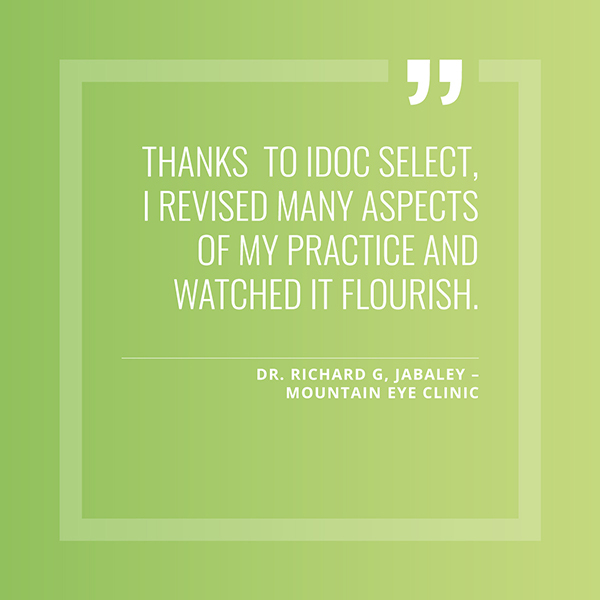 Because IDOC is fully committed to our members’ satisfaction and success. Find the plan that brings your vision into focus, your way.